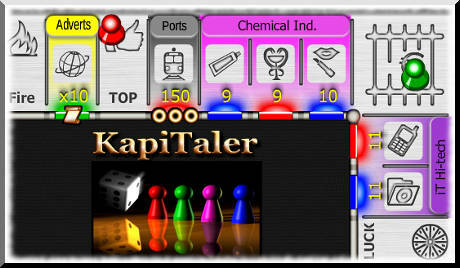 KapiTaler - Roll the dice, move your token and buy industries. 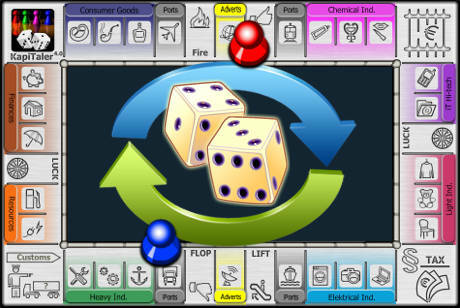 Players' tokens move around this board with the number of spaces shown on dice. 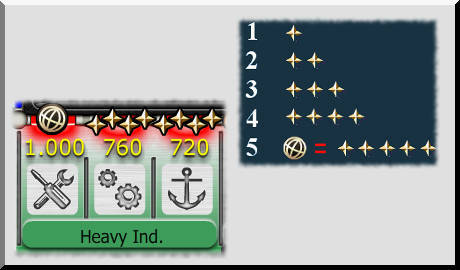 After you have rolled the dice your token moves to one of the industry. If this industry was not sold before, you can buy it. The price is shown on the game board. 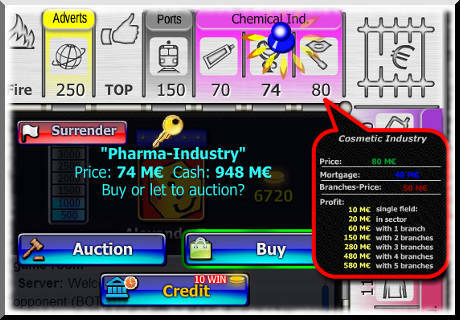 The sold industries have been marked with the player's colour who owns this industry and the numbers show how much has to be paid for the service if another player's token lands on it. 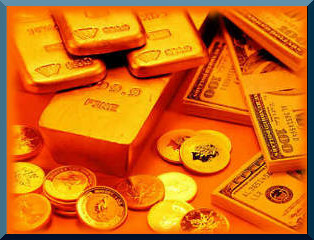 Industries belong to one of the economic sectors. One sector can become monopoly when one player owns all sector's industries. In this case branches can be built there. That will increase the income. Up to five branches can be built for each industry in case of monopoly sector. In order to build branches just click on the industry before you have rolled dice. The goal of this game is very simple: Make as much money as you can. More monopolies you get and more branches you build, the more money you can collect from your opponents. 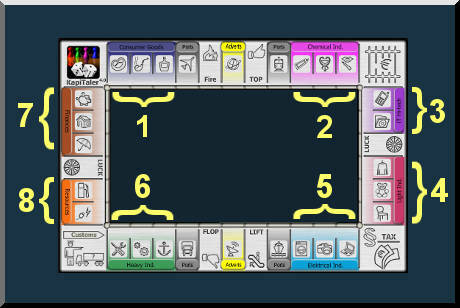 You can start now your first training game against one computer opponent. or bring your opponent to bankruptcy. Log in and play with real players.